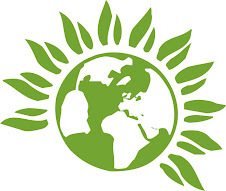 Two bits of news this week highlight the Green Party as the ONLY English party with solid opposition to privatisation that so far has a foothold in Parliament. At a packed meeting on Oct 9 called by Defend Haringey Health Services to protest NHS privatisation and cuts, Green party policies were recognised as such. For example, we will fight for a fair deal for those needing health care by opposing cuts, closures and privatisation and by demanding a full programme of locally accessible services. In particular, we will maintain the principle of a free NHS by implementing in England and Wales the scheme that provides free social care to the elderly in Scotland. We further believe in keeping the health service free – we would abolish prescription charges, re-introduce free eye tests and ensure NHS chiropody is widely available. We will also fight to restore free dental care and provide everyone with the choice of an NHS dentist. The ConDem government just turned up the heat on the NHS with a raft of privatisation tenders planned within days of Jeremy Hunt’s appointment as Health Secretary. It seems the Lib Dems are not sticking on this and it’s easy to see that privatisation is rooted in former Labour policies. As noted at Tuesday’s meeting, the ‘clinical commissioning groups’ (CCGs) that are now to run the health service at local level are now to be grouped into regional clusters which will be subject to government diktat, probably an attempt to forestall stances like that taken by the Hackney CCG which recently adopted a policy of trying NOT to buy from private providers of hospital services. In the Haringey CCG area, the Whittington hospital faces cuts of £13 million by 2014 and £1.8 million this year which means the loss of over 120 jobs. Stroke and heart care services have been cut, audiology and diabetes care moved elsewhere. Unipart, a firm which used to make car parts, are being paid £500,000 a year to 'find savings'. The North Middlesex is heavily in debt to PFI and was named as one of the 'failing' hospital trusts in a recent government report. Will it one day be placed into administration like the South London Hospital Trust was in July? And eventually sold off to the private sector, like Hinchinbrooke near Cambridge? St Ann's, the only hospital site actually IN Haringey, will be scaled down to one third of its site, with the remaining land sold for housing. This will lose an opportunity to bring much needed services of many kinds, including urgent care, close to the Tottenham population which has so many health problems and relatively low life expectancy. Will the new buildings be PFI'd ? You betcha. And Haringey has seen several G.P.s recently close their out of hours service, leading to more pressure on A and E services. 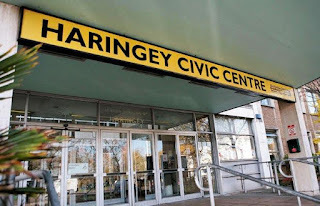 On a second front, local press and blogs have raised the alarm that Nick Walkley has just resigned from being CE of Barnet Council to move to Haringey. Why on earth a Labour-led council has appointed a leading architect of the Tories’ plans to privatise just about everything beggars belief. The anarchists, to their credit (Haringey Solidarity Group) have called a demo outside the Civic Centre next Tuesday 16 Oct at 5.45, to protest against this crazy appointment. But when it comes to the next local election, they will no doubt call on people not to vote! The hidden agenda of Nick Walkley’s appointment is still a mystery. However, The Guardian newspaper has uncovered a possible clue to his taking a pay cut in the fact that Walkley wanted to hide from a journalist something about Barnet’s (in effect his) handling of the policy in Barnet. If there’s anything in this, it deepens the mystery about why Haringey wants him. What are they planning to sell off and why? Labour Party – Are You Tories in Disguise?